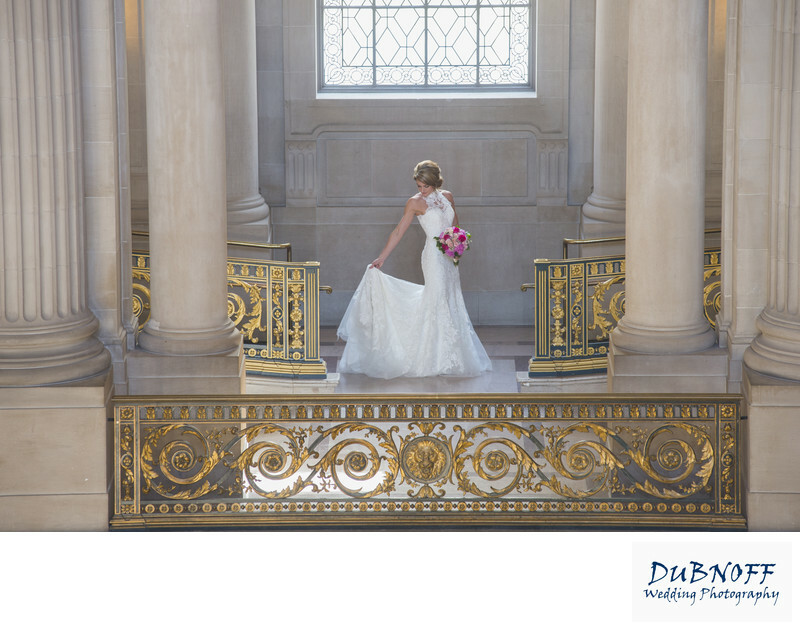 We placed our bride in a great spot in City Hall and made a nice pose. The light is perfect and the bride is beautiful. We are ready to take some amazing posed images and then suddenly the bride reaches back and makes an adjustment to her dress and that ends up being the best image of the day!